Y Camp Challenge is looking for volunteers! We need dedicated campers and camp leaders to join us in organising a meaningful camp that impacts and enriches the lives of persons with special needs! Happening from 28 to 30 June 2019, come join us and make a difference! For more information, email us at ycampchallenge@ymca.org.sg or call 6586 2344! Empowering Seniors, Connecting Generations! Last week, we held our annual YMCA Silver Fiesta at Toa Payoh HDB Hub. With the support of our partners and more than 600 volunteers, we impacted the lives of more than 1,400 elderly through a series of performances, stage activities and workshops. Our greatest appreciation to Guest-of-Honour, Dr Amy Khor Lean Suan, Senior Minister of State, Ministry of Health and Ministry of Land & Water Resources for gracing the event. Platinum Partners: Ascendas-Singbridge Gives Foundation NTUC Fairprice Foundation Limited Gold Partner: MUFG Bank, Ltd. Bronze Partners: Gardenia Foods (S) Pte Ltd Khong Guan Biscuit Factory (S) Pte Ltd Penguin International Limited Tong Garden Food (Singapore) Pte Ltd Sinhua Hock Kee Trading (S) Pte Ltd Haw Par Healthcare Limited Win Win Food Singapore Pte Ltd Singapore Press Holdings Ltd Supporting Partners: U 3RD AGE Y’s Men International Partner in Sports: ActiveSG Digital Partner: Info-communications Development Authority (IMDA) In the spirit of SG Cares. What makes dining at YMCA different? When you choose to dine with us, you are also supporting our work in the community. Every year, we organise more than 350 activities for over 9,000 beneficiaries. We can’t do this alone. Come dine at Y Café to show your support. Make a reservation today, simply call 6586 2270. The Stage @ Jericho's is back! Join us this Friday evening for a Mid-Autumn themed night with great music, board games and delicious food. Admission is free! The Stage @ Jericho’s is a social enterprise programme organised by Uni-Y SMU to provides budding musicians a platform to showcase their music. 19th YMCA Charity Golf 2018 was a resounding success! A heartfelt thank you to everyone who took the time to join us on the green. We hope that you will continue journeying with us as we strive to touch lives, lift spirits and nurture community champions. Stay tuned for more photos and updates! We are counting down to an exciting game on the green! The 19th YMCA Charity Golf will be happening this Friday at Laguna National Golf and Country Club (Masters Course). Together, we will tee off for a meaningful cause in support of the YMCA-Lim Kim San Volunteers Programme. Can’t join us on the green? Stay tuned to our Facebook and Instagram page to receive live updates. We are less than a week away from the 19th YMCA Charity Golf! We hope you are as excited as we are to hit the green on Friday, 14 September 2018. Special thanks to our Hole-in-One Sponsors, Supporting Partners, Corporate Donors and Product Sponsors for supporting us in this event. To those who are joining us in this event, see you there! Calling all students with a heart to serve and lead! Come join us on 29th September 2018 to learn more about Uni-Y Singapore and find out what makes Uni-Y different from the rest. Sign up at https://tinyurl.com/Uniylamp2018 by 15th September 2018. 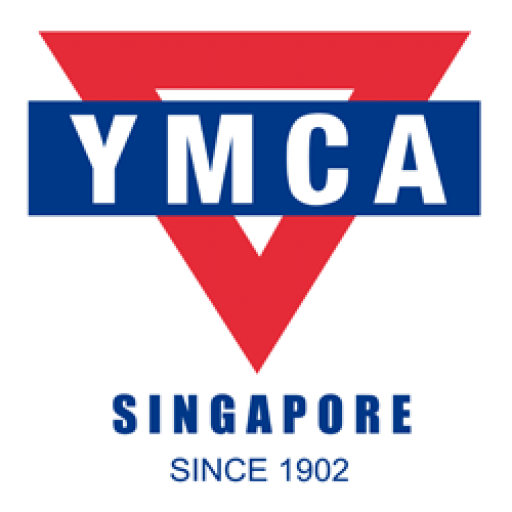 Should you have any questions, do feel free to email Hui Ting at huiting@ymca.org.sg. Read the latest issue of Y Factor here: https://bit.ly/2PnKqNv In this issue of Y Factor, read about how we mobilised enthusiastic and inspiring youths to #BetheVoice for a social cause through the Citi-YMCA Youth For Causes programme. Also, check out some of our international highlights such as refurbishing homes in Tang Wu Zhen and the Chengdu adventure!